Portofino – Get the gelato and go! | Help! I live with my Italian mother in law! 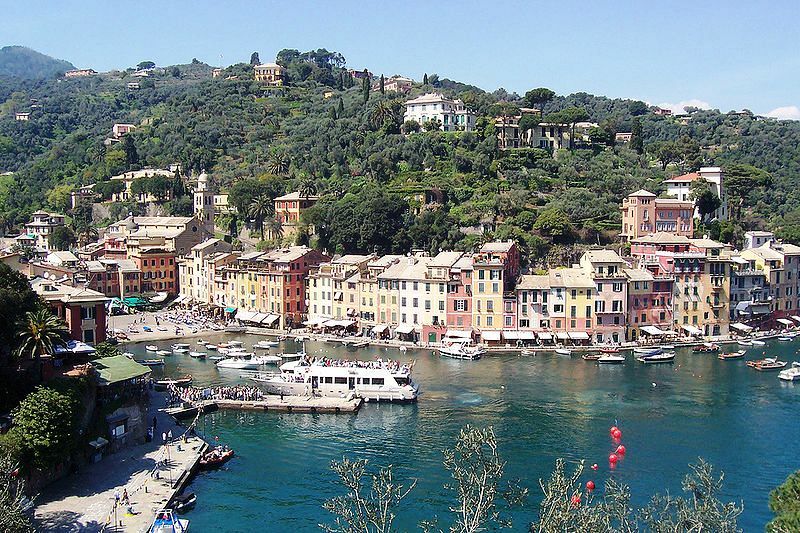 Portofino – Get the gelato and go! Have you ever been to Portofino, Italy? It is renowned as THE place to go, place to see (or be seen) or bucket list item to be crossed off. It’s a pretty little village that has been taken over by enormous yachts, sail boats and Gucci. It’s a postcard picture of colourful buildings lined up shore-side next to these fancy super yachts. It’s the place where everyone wants to see along the Ligurian Italian Riviera. Last Sunday I got a phone call from my sister-in-law on my way up to Portofino. She wanted me to buy some focaccia and coffee. I was already past Santa Margherita where prices for such things are much more reasonable and wished she would have called me sooner but she didn’t. So, I drove my car into Portofino and parked. I went to the only bakery that is open on a Sunday and bought 4 pieces of focaccia and some Lavazza coffee…Total: 16.00 Euro (and I had to ASK for my receipt-not itemized of course)! I was in town for less than 20 minutes…parking: 5.50 Euros! And another thing…don’t bring your car unless you already have a carload of family, friends and granny. Take the ferry boat or the bus or walk from Santa Margherita. It’s a pretty walk (but not for the faint of heart) along the coastal road and will take about 45 minutes to an hour depending on your pace. Don’t walk if you are not wearing comfortable shoes or nervous about traffic (some parts have no sidewalk and you will have to walk single-file along a curvy stretch of road to avoid the oncoming cars, buses and scooters). I don’t know how many times I have driven past women wearing sky high heels and wondered where the heck is she going anyways? This entry was posted in Italian Culture, Nature, Tourists, travel, Uncategorized and tagged expensive, liguria, Portofino. Bookmark the permalink.